Do you remember when losing a tooth was so exciting as a child? It was essentially a right of passage into first grade. In addition, you'd often receive a financial reward from the tooth fairy! Losing a tooth as an adult is not so glamorous. Instead of receiving high-fives and money, you encounter gloved hands in your mouth and discomfort. A tooth extraction can be stressful, but it's easier if you're fully prepared for the procedure ahead of time. There are some important steps to follow in preparation for this procedure. If you have a question, ask it! When you meet with your oral surgeon or dentist about a dental procedure, make sure you take a list of all the questions you want to ask. This is your chance to make sure you fully understand the tooth extraction procedure. No question is too silly. The dental provider’s job is to make sure you are comfortable. After all, it's your mouth they are operating on. It's your right to know all the details involved with the treatment. Before your procedure, it is important to share your medical history. You should be comprehensive and not leave any details out. These conditions can make a patient more susceptible to infections. It is important to also include a complete list of current medications, so the dental provider can avoid any possible drug interactions. If you are taking blood thinners, your dentist may recommend you stop taking them before the appointment. This will decrease the risk of bleeding during the procedure. Blood thinners can also prolong healing after the treatment is completed. It is likely that you will be given anesthesia or sedation when undergoing your tooth extraction. It's important to discuss which substances will be used for your specific treatment. Some people may know which type of anesthesia/sedation works well for them and what types to avoid. If you've had anesthesia before, let the doctor know what kind of side effects you have experienced in the past. The dental provider can prepare a medication plan that will ensure you are comfortable, but not at risk. Painkillers are often prescribed as part of the recovery process. If you have a preference on types of painkillers, let your dentist know. Painkillers can become addictive, so we suggest switching to non-narcotic substances as soon as possible. Generally speaking, you should avoid eating anything for 12 hours prior to the surgery. This can help prevent nausea during and after the procedure. If you are having a local anesthetic, you may not need to fast as long so be sure to inquire before the treatment. Let the dental provider know if you have a condition that doesn't allow you to fast, such as diabetes. It is also important to remember that you cannot smoke for 12 hours before the surgery and 24 hours after. In fact, this would be an ideal time to quit smoking for good. Smoking after the procedure will slow down the healing process and place you at greater risk for "dry socket", which is a serious condition requiring immediate medical attention. The ideal time to fully understand your insurance is before the procedure. You should talk to your insurance company to make sure they cover the work that will be completed. The last thing you want to deal with when you are recovering is insurance claims and unexpected bills that are you are responsible to pay. If needed, you should request a written description of the procedure along with ICD-10 codes to confirm with your insurance provider that your treatment will be covered. You will not be able to drive home after your procedure. It is surprising how many people expect to jump in their cars and drive themselves home after having anesthesia. Even local anesthesia will impair your reflexes. Under no circumstances will you be allowed to drive impaired! It is important to arrange for a friend or family member to take you home after the procedure is completed. If that's not possible, plan on hiring a taxi or an uber. You should consider taking some time off work, arranging for childcare, and asking someone to stay overnight with you. We also recommend having some soft foods prepared, so you don't need to worry about cooking. It is important to dress comfortably for your procedure. Loose fitting, comfortable clothing is best. You should also wear a short-sleeved shirt, in case your IV drips. Most dental providers recommend wearing something old. Although doctors and staff will try to be careful, sometimes garments can get stained. You may also want to bring some chapstick with you to keep your lips moisturized. After the tooth extraction procedure is completed, your dentist will suggest eating soft foods so you won't have to chew or bite anything hard. Yogurt, protein drinks, and smoothies are all great options. You will often find it difficult to feel your tongue and cheeks until after the anesthesia wears off. You should avoid drinking through straws, rinsing your mouth out, or forcibly spitting. This could lead to dry socket. You'll need to take it easy for one to two days after the procedure. When lying down, be sure to prop your head on a pillow. You should avoid brushing the extraction site and take the painkillers as directed by your dental provider. These are all signs of a possible infection and must be addressed immediately. 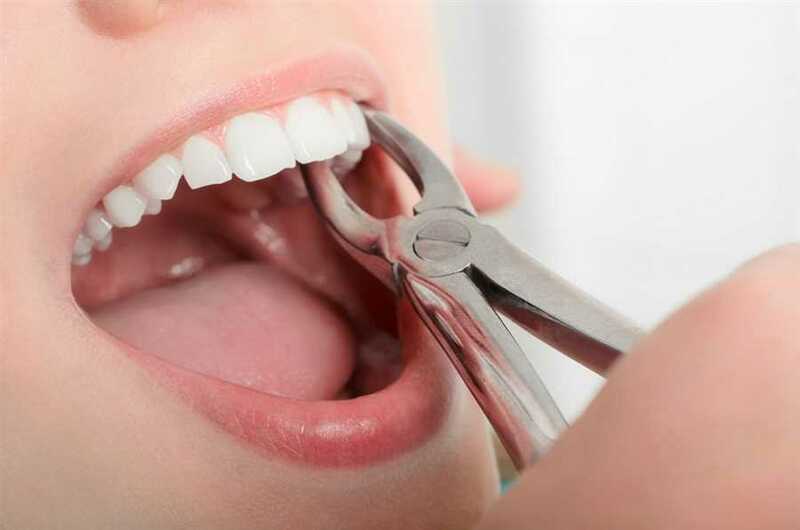 We understand that tooth extractions make most people nervous. As experienced dental providers, it is important to trust us because we fully understand what’s involved with removing teeth in a safe, efficient manner. We are here to make sure you have the most enjoyable experience possible and will guide you every step along the way. We encourage you to contact our practice with any questions about tooth extractions or to schedule a consultation.